← pumpkin shortage? not for this gal! pumpkin whoopie pies – COMPLETELY from scratch! this is where the pumpkin puree ended up – rachael ray’s pumpkin whoopie pies! my camera battery died before completion, so this is a photo of the cookies before adding the filling and assembling. i’m just going to throw all modesty out the window here – they are PERFECT. absolutely delicious. the cookies are light, fluffy, and have the perfect amount of spice. 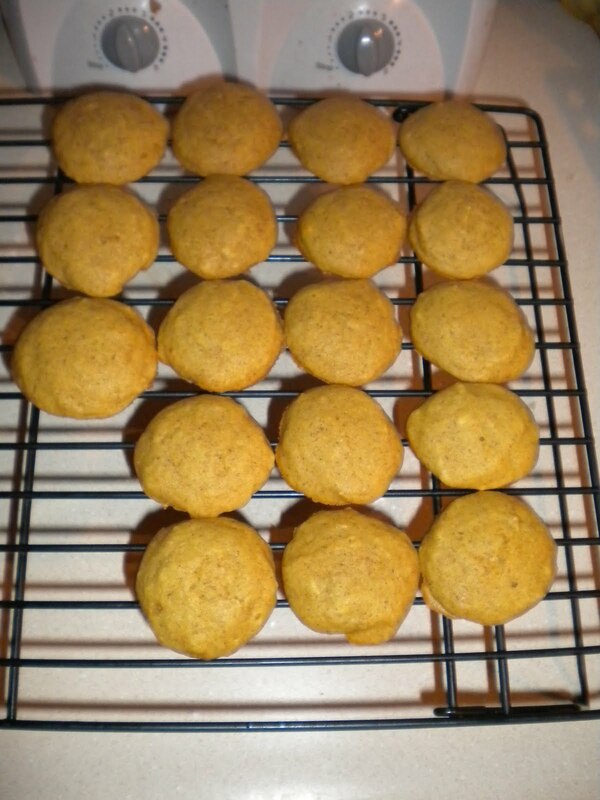 This entry was posted in Baking and tagged baking, cookie, dessert, pumpkin, pumpkin puree, whoopie pie. Bookmark the permalink. 1 Response to pumpkin whoopie pies – COMPLETELY from scratch!